I believe I could count on one hand the number of times I've eaten well on a bus - but my trip to Al Qassim certainly counts as an example. “I am happy to invite you to join a group of 15 Saudi ladies who are taking an overnight trip to Al Qassim on Sunday 10th March. The Saudi ladies are all from the same good family which originates from the Al Qassim region and so are very excited to be visiting the area and would be very happy if you could join them and share the experience. As you know these Saudi/Expat occasions are quite rare so I do hope that some of you will be able to take up the opportunity and join us for this cultural and fun ladies trip." And so, last Sunday, I found myself on a tour bus heading for Al Qassim; myself and a Dutch friend making up 2 of the 8 Westerners; and 15 Saudi ladies. The Saudi women had brought enough food to feed a small African village, and it just kept coming. 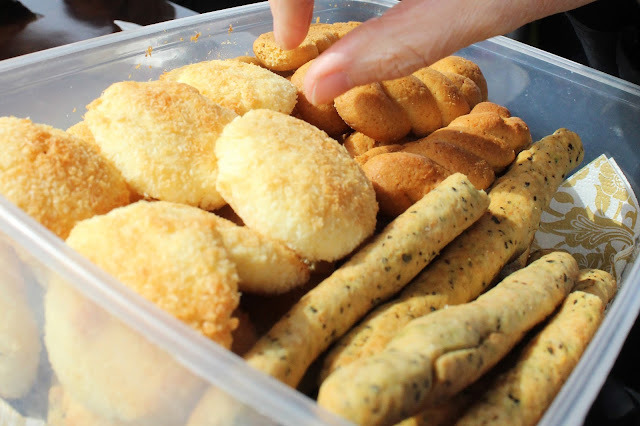 There were dates in all their delicious stickiness, fresh cookies from the Windmill Bakery, croissants, coconut biscuits, local pastries, spiced nuts. It all passed my eyes, and quite often my lips. Then there was tea. Shiny thermal carafes appeared from bulging bags beneath tables. First off was hot, milky and very, very sweet ordinary tea. (I put mine to one side.) 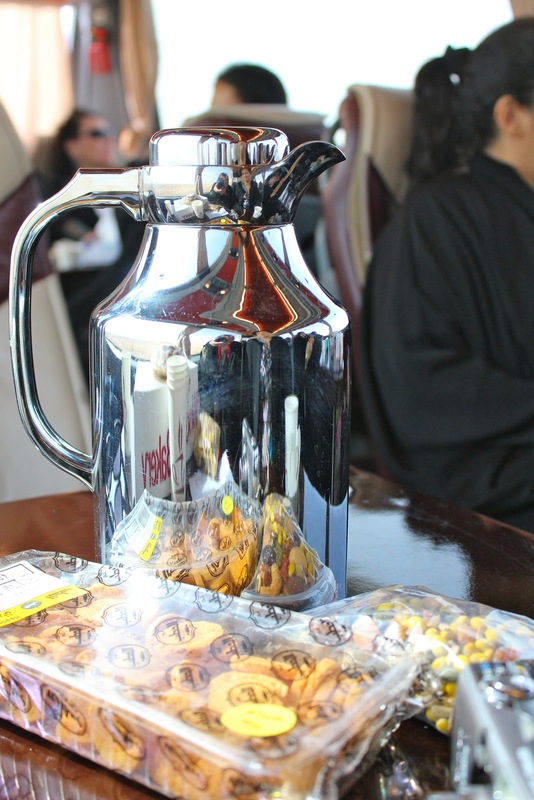 Then we were offered Arabic coffee: hard to refuse with its enticing hint of cardamom and spices. Then later came ginger tea, strong, hot, fresh and very good. As we rounded a corner everything on the overladen table started sliding towards us and pretty soon I was wearing the milky coffee I'd just avoided. The group of us chatted about families and children. I had 3, my Dutch friend beside me had just one daughter. The Saudi ladies had 8, 7 and 6, respectively. We shared photos. “Ah, very beautiful,” they said when they saw the picture I carry in my wallet of my blonde, blue-eyed daughter on her wedding day. Fawsia came to sit beside me and talked about her two teenage daughters. They were finding it hard to settle into life back in Saudi after living in London for the last six years. “They want me to find them husbands who live in London,” she said as she adjusted and tweaked her headscarf to cover a stray bit of hair. Gradually, as the trip progressed, niqabs were loosened and placed in bags, head scarfs came off and abayas were unbuttoned. But they were never far away. My picking up my camera was an instant cue to cover up. As yet more food passed by, the singing and clapping started. Fatima used the microphone from the front of the bus to amplify the sound of an Arabic song on her iPhone. The quality was terrible but no one seemed to mind. Singing and clapping was coupled with continuous squeals of laughter and loud high-spirited conversation across seats and from one corner of the bus to another. I began to wish I’d packed some paracetamol. A headache was definitely in the wings. Then the dancing started. It had already been a very mobile trip, what with women standing to pass round laden platters of food and pour each other out drinks. No one seemed to stay in any one seat very long (rather like a Saudi air flight, I found myself thinking) so I guess it was inevitable that with all the excitement and energy, feet, as well hands, were itching to move. It was a small aisle, but the enthusiasm was contagious. Before I could blink, my Dutch friend was up and dancing too; her hands in the air, her feet twisting and turning. The rest of our trip was full of the colour and history our programme had promised. At Al Muthnab old town we were given traditional welcome dates and Arabic tea. Then we wandered round, seeing traditional crafts in action, workshops and replica homes. In the evening we visited Al Msoukaf Souk. It was quiet, and in the absence of visitors, clusters of locals and shop owners sat outside shops, drinking coffee and chatting. Sadly, like most souks here, there was little for sale that was made locally. Even brass Arabic coffee pots had ‘Made in Pakistan’ stamped on their bottoms. Looking further we found ‘Made in China’, ‘Made in India’ and even ‘Made in Slovakia’. Before I'd left Riyadh, a friend had told me that the area was renowned for its handcrafts, especially baskets, but I saw none. The Al Rajhi mud houses in Burayadh had the usual desert coloured exteriors and cool interiors. 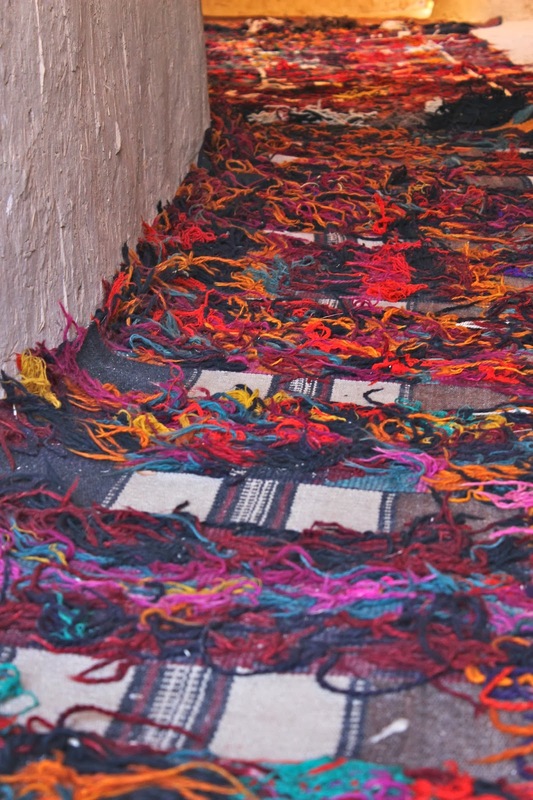 Brightly coloured mats and traditional elements helped to conjure up images of what they might once have looked like. Often on trips like these, you’re given a form to fill in at the end asking what you thought of the experience. We didn't. But if I had, I’d have said that while I enjoyed the history and local sights, it was the friendship of the women I travelled with which made my time away most memorable.